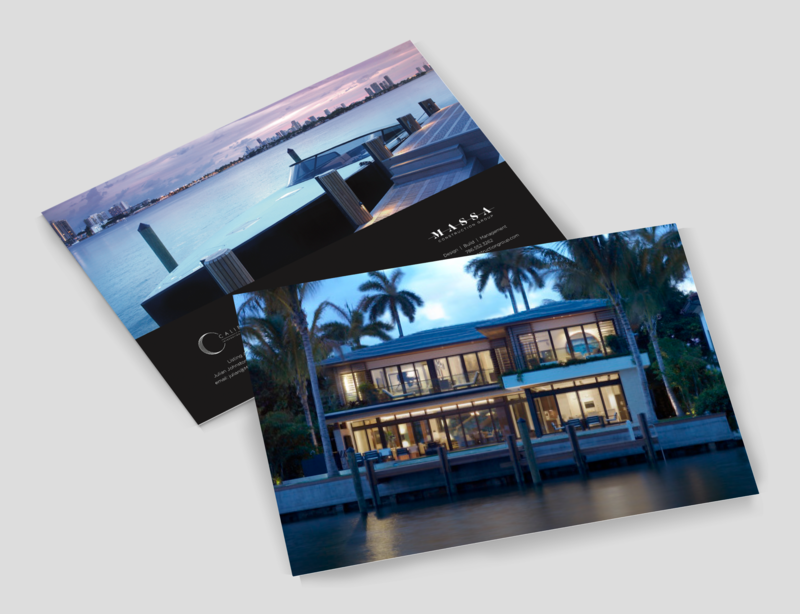 We are working with the Massa Construction Group team to develop an architecturally sound brand identity and website that reflects their process as well as providing marketing materials for their upcoming properties. Massa Construction Group is a high-end contractor that services clients with project design, build, and management. With developments successfully recognized across South Florida, Massa Construction Group has an impressive track record, offering flexibility for various properties including luxury hotels and restaurants to warehouses and homes. Massa Construction Group’s first completed residential project in the United States is located in the prestigious Miami neighborhood of Sunset Islands. 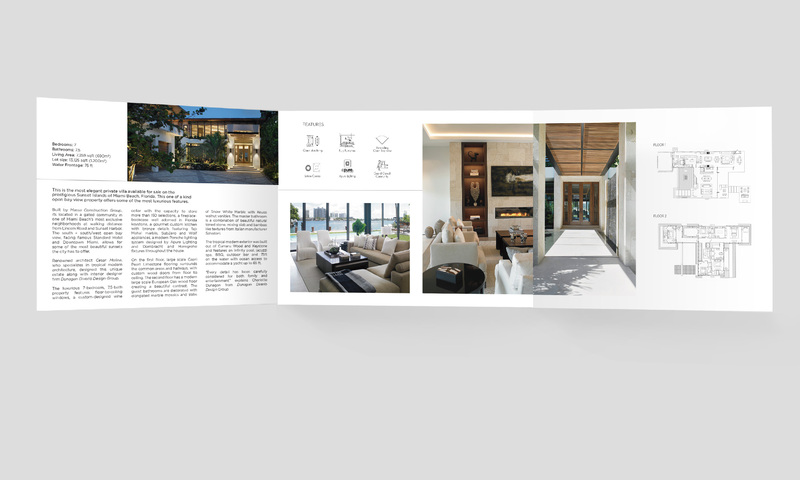 In order to showcase this one-of-a-kind open bay view property, we created detailed brochures that allowed guests to see all the luxurious features the home has to offer.